On 5th July 2013, Doka laid the foundation stone for its new logistics centre for Germany, being built on an 11.4 hectare plot in an industrial estate on the B 87 highway near the town of Apolda in Thuringia, Germany. Scheduled for completion by the end of this year, the first phase will initially create approx. 40 new jobs. The Doka Group is investing around 14 million euros in this first stage of the project, as part of the ongoing build-out of its worldwide distribution and logistics network. Rapid availability of formwork systems and components, and prompt, fast and flexible delivery of these items to jobsites, are significant competitive aspects that are often a critical factor for customers when awarding a contract. This is why efficient logistics play such a key role in the formwork business. “The new logistics centre for Germany that we are establishing in Apolda marks an important step for our company and especially for our customers and employees”, notes Josef Kurzmann, Chairman Doka Group, pointing out the significance of this construction project. 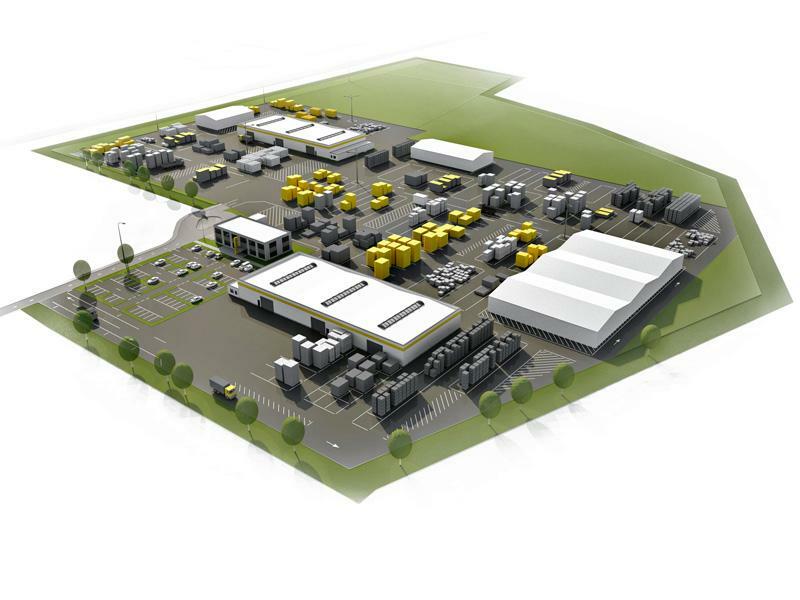 The Apolda Logistics Centre will serve as a central depot for part of the Doka rental park. With this step, the company is seeking to continue optimising its logistical processes. The aim is even shorter delivery times, even better availability of equipment and even fewer part-deliveries to jobsites. To achieve these aims, it is advantageous to be located as close to the middle of the sales territory as possible. The State of Thuringia offers just such a central location in the ‘Green Heart of Germany’, coupled with advanced transportation infrastructure. “These criteria, and the availability of skilled labour, were the deciding factors in our search for a suitable location”, says Frank Müller, Managing Director of Deutsche Doka. The Doka Group is investing around 14 million euros in the first development phase, with a paved outdoor area of 56,000 m², an office building and 8120 m² of indoor warehouse space. This phase is scheduled to be completed and put into service by the end of 2013. A decision on a second development phase, with additional warehouse buildings, is likely to be taken in 2016. The Doka Group has continued to expand its worldwide presence by establishing new branches – for example in Australia, Malaysia and Peru – and additional logistics centres. In 2012, the company invested around 130 million euros in its own growth. Of this total, a large share went on strengthening its logistics network. Another such example is the International Logistics Centre at St. Georgen in Austria, which was opened last year. 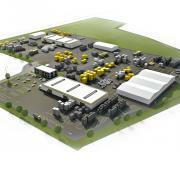 This expansion drive will be continued in 2013 and beyond: “The backbone of successful expansion is efficient logistics. Our extensive programme of capital investments points the way forward to the future. We shall also be continuing to develop our portfolio of offerings and to expand the Doka Engineering services”, states Josef Kurzmann. Thank you for your interest - Doka lays foundation stone for new logistics centre. Thank you very much for your interest - Doka lays foundation stone for new logistics centre.